Automotive Technology is designed to provide training and experience in the principles of automotive diagnosis and repair. Areas of study include automatic transmission/transaxle, manual drive train and axles, steering and suspension, brakes, electrical systems and electronics, heating and air conditioning, and engine performance. Advanced students use cutting edge technology and equipment to diagnose problems with starting and charging systems, ignition and fuel systems, and computerized engine control systems. This program combines in-depth theory with extensive hands-on training in our well-equipped NATEF Certified auto lab. Students will learn basic and advanced technical skills and essential worker traits to secure and retain employment in automotive and other related fields. The Automotive Technology program has articulation agreements with Lake Region State College and Central Maine Community College. This class is an option for all students who have participated in and met Automotive Technology I proficiencies. 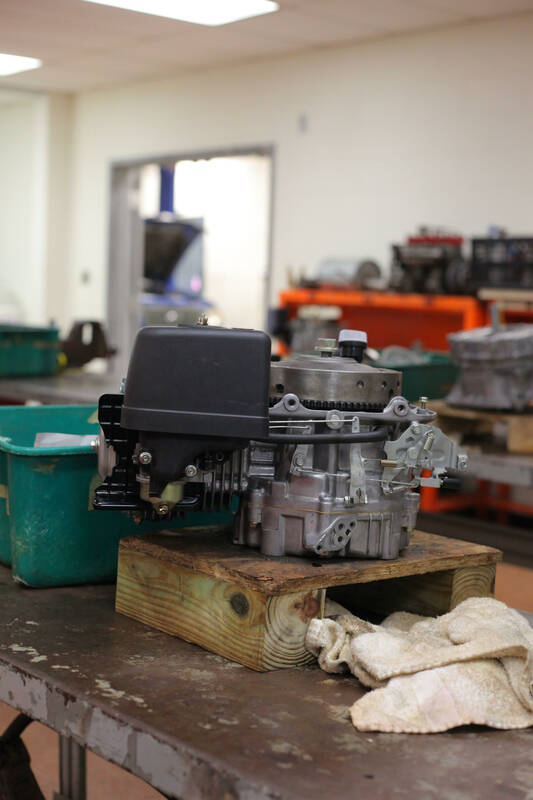 Power Sports Equipment & Technology – 70725 A hands on introduction to the maintenance and repair of four-stroke engines and a variety of power sports equipment. Students will develop the skills and confidence necessary for entry-level employment in dealerships and independent repair facilities and participate in the Harley Davidson Motorcycle Maintenance Program.